Chapter Goal: Implement the UNA-USA Global Classrooms Project to prepare today’s youth for an increasingly global and complex society and through its renewed Africare partnership, we will implement youth hunger initiatives on the continent of Africa. ​Alpha Kappa Alpha and Africare teamed up with Little Dresses for Africa allowing members the opportunity to help young girls in Africa. 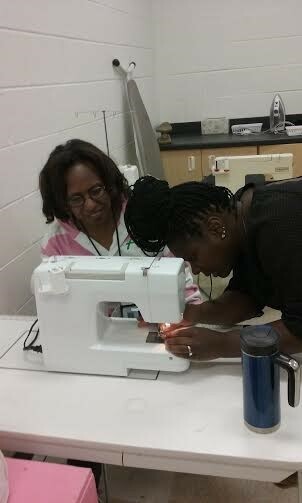 The pillowcase dress service project allowed members the chance to collaboratively work together to make little dresses for communities in South Africa and Liberia. 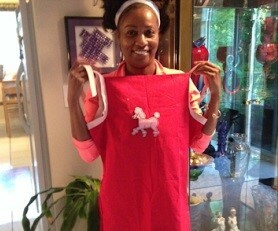 Delta Psi Omega’s chapter members strategically worked towards our projected goal of 65 pillowcase dresses. We exceeded our goal, and were able to send a total of 76 pillowcase dresses to the 2016 Boule. Through dedication, hard work and sisterhood, Delta Psi Omega played an instrumental role in helping keep girls in Africa protected. 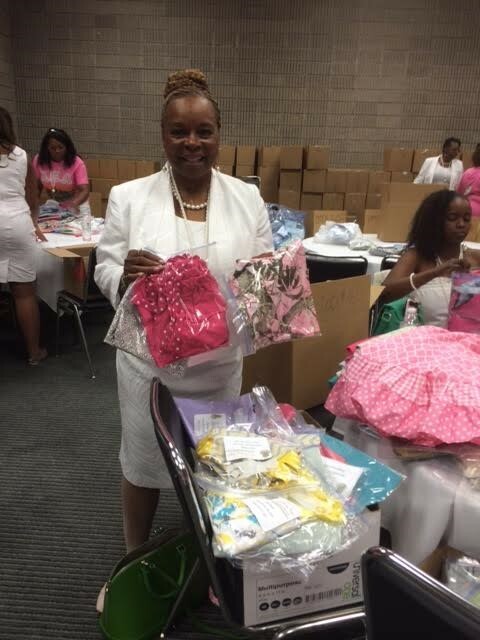 (Pictured) President Patricia Manley checking in the 76 pillowcase at the National Convention in Atlanta, GA, July 2016.